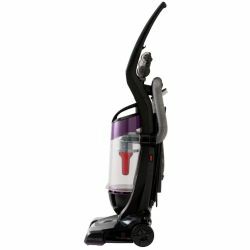 You can get a good vacuum for $200, $300, $400 or more but is it possible to get a good machine for under $100? The short answer is "YES" but if you want the best cheap vacuums you have to look carefully and do your research. We've reviewed literally hundreds of vacuum cleaners and to help we've put together our 2017 list of the best vacuums for under $100 and it includes models by Hoover, Eureka and Bissell. The list contains three uprights, three canister vacuums and three stick vacs. The models were chosen based on their features, performance, consumer ratings and low cost. ARE THESE REALLY ANY GOOD? How do we know you can get a good vacuum for under $100? Well, we’ve reviewed many vacuums over the past 9 years and have seen some good machines in this price range. To prove this we have plotted Price in USD versus Average Owner Rating - see chart below - for each and every upright, canister and stick vacuum that we have reviewed on our website (we removed handheld vacuums as their tendency to be inexpensive skews the data). 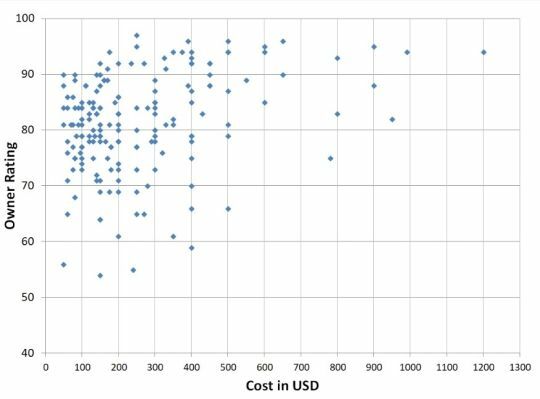 As you can see in the chart there are a number of vacuums that cost $100 or less and score between 80 and 90 (we like machines with scores above 80). You don’t have to spend big money to find a vacuum that scores in this range. If you get the right machine - even though it is not expensive - you can certainly get your money’s worth. Below we discuss some of the features you may want to look at when considering any of these vacuums. It is nice to have a brushroll, especially if you have carpet to vacuum. When you have both carpet and bare floors it’s even better if the brushroll can be turned on and off. You likely want it OFF when vacuuming bare floors and ON when vacuuming carpet. Finally, a motorized brushroll is best. Some vacuums have a suction driven brushroll and while this does work, it is not as powerful or effective (especially on deeper pile carpet) as a motorized unit. If you have bare floors and maybe a few area rugs it is not as important to have a brushroll. Vacuum weight is important. If a machine is too heavy it can be a literal pain to move from room to room or up and down stairs. This can be more of an issue for the elderly or for those unable to lift heavy items. 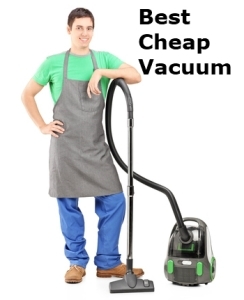 Fortunately many of these cheaper vacuums are not too heavy (although a few are over 15 lbs). Many of the less expensive machines will not have HEPA level filtration although you will find it on some. It is also nice if one or more or the filters are washable as this helps with keeping costs down over time. This is an important feature as it can be very annoying if you have to unplug your vacuum and search around for another outlet just to finish a small area. We see a lot of owner complaints when a vacuum has a short power cord. A long power cord (30 feet plus) is sometimes a tall order for some of the cheaper vacuums. Most vacuums come with one or more tools. Things like dusting brushes, crevice tools, pet hair brushes, etc. These can be very handy for certain kinds of cleaning and even some of the more affordable vacuums will have these. 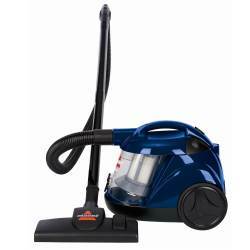 A cheap vacuum requires some compromise and warranties are often much shorter for these machines. They are often 1 year but you will find some with 2yrs or so. 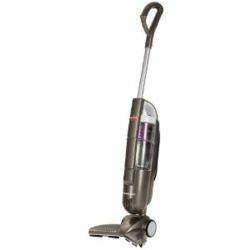 The Bissell 1330 is a simple, affordable bagless vacuum cleaner that has been getting good reviews and ratings from consumers. 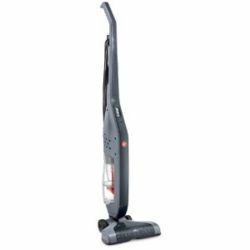 It is very similar to the Bissell Cleanview 9595A (our #3 below) but it has a new brushroll that has been redesigned for better pickup. This is a motorized brushroll (but it cannot be turned off). The vacuum is very reasonably priced and can usually be found for under $100. 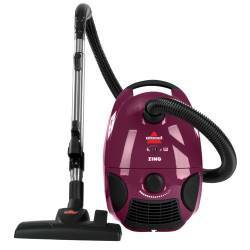 It is also capable on pet hair, carpet and hard floors and it has good suction. It includes several cleaning tools (dusting brush, crevice tool, turbo brush) but it has no HEPA filter. You can learn much more in our full Bissell CleanView 1330 Review. The Eureka 169H is a bagless 2-in-1 stick vac that converts easily to a handheld unit. This is quite a small machine and it only weighs about 4 lbs. The handles also lowers for easy storage. 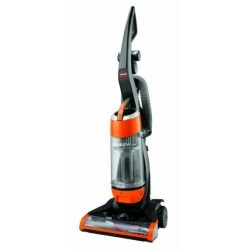 It has a motor driven brushroll with on/off controls as well as a 15 foot power cord - this is not a cordless vacuum. 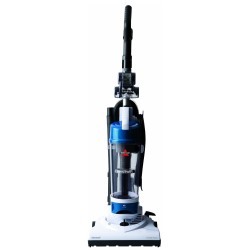 This machine is sometimes referred to as a Eureka Quick-Up bagless stick vacuum and owner reviews and ratings are very good. It is also very reasonably priced at $45 or sometimes even less. You won't find a HEPA here though. It carries a 1 year limited warranty. Read the full Eureka Quick Up Review. The 9595 is another affordable Bissell bagless upright and it includes a nice array of tools (turbo brush, crevice tool, dusting brush). The vacuum has solid suction and good pickup. It is also effective on pet hair. Like the Bissell 1330 it has a motorized brushroll with no brushroll on/off controls. We souldn't say it is particularly lightweight at 15.1 lbs but it does come with a HEPA filter and a washable pre-motor foam filter. The unit carries a 2-year warranty. Read the full Bissell CleanView 9595 Review. This vacuum has also made our best bagged vacuum list and our best canister vacuum list. The 4122 is a simple machine with few frills and features, however performance is good and it is very inexpensive. Owners feel that this machine delivers good bang for your buck and are pleased that the unit is lightweight, maneuverable and easy to store. The Zing 4122 is a good fit for a smaller home or apartment with mostly bare floors. Note that this machine does not have a brushroll so this will limit its cleaning abilities on carpet. Read the full Bissell Zing 4122 Review. The Hoover Corded Cyclonic Stick Vacuum gets good ratings from owners and is well liked for its maneuverability, light weight and quiet operation. This is a corded stick vacuum with a 20 foot power cord. This is not a cordless machine. It also has a brushroll that can be turned on and off making it capable on both carpet and bare surfaces. At about 9lbs te SH20030 is not heavy - but then again it is a stick vacuum and you don't expect these to be as heavy as a full size upright. It is also bagless and it carries a 2-year warranty. Read the full Hoover SH20030 Review. 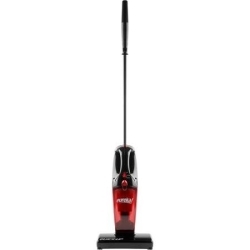 The Bissell Aeroswift 1009 is a compact machine and is best for cleaning small areas. It only weighs about 12 lbs so it is fairly easy to carry. It does have a motorized brushroll which is nice but the brushroll cannot be turned off. It is ON when the vacuum is ON. The Aeroswift includes an optional Febreze filter which is designed to eliminate odors and keeps rooms smelling fresh after vacuuming. Despite its size the Aeroswift has a nice long 30 foot power cord which is not too common in vacuums at this price point. It also has 5 nozzle height setting which help it accomodate different depths of carpet and bare floors. 3 tools are provide and the vacuum carries a 2 year limited warranty. 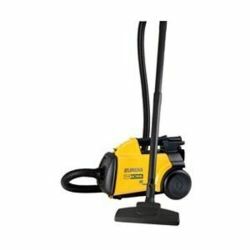 There is no HEPA filter however and the small, compact nature of this vacuum also results in a small dust canister that requires frequent emptying. Read the full Bissell Aeroswift 1009 Review. The Bissell Zing Rewind is a compact, lightweight bagless canister vacuum. It is similar to the Bissell Zing 4122 (#4 above) except that the 4122 is a bagged machine. Filtration is not HEPA level but both pre and post motor filters are washable. The cleaner head has no brushroll and the unit is therefore not particularly good on carpet. It is really designed for bare floors and on these it does a respectable job. Owners like the automatic power cord rewind feature but the vacuum only has a 15 foot power cord which some folks may find frustratingly short. This vacuum is really best for small homes. It carries a 1 year limited warranty. Read the full Bissell Zing Rewind Review. This is a simple stick vacuum but it is somewhat innovative and a little odd looking. It has a v-shaped nozzle that is designed to direct larger debris into the vacuum’s core suction area (center of the "v") while the arms of the “v” pick up the finer dust. The 81L2A (or 81l2T which is essentially the same machine) is a corded stick vacuum that is lightweight. It is also maneuverable and provides good pickup on hard surfaces but is not good for carpet. The 81L2 is bagless and it has a 20 foot power cord. Read the full Bissell PowerEdge Review. Known as the Eureka 3670G Mighty Mite canister vacuum cleaner, this machine gets good consumer ratings, and is lightweight (just over 8 lbs), powerful and quite affordable. It is a no-frills vacuum and is often described by owners as something of a “work horse”. The 3670G also features a blower which is good for removing leaves, or debris from a workshop floor for example. It is small and best for light to medium cleanups. This is a bagged canister vacuum with a 20 foot power cord. It does not have a brushroll in the cleaner head and is best or hard surfaces. Read the full Eureka 3670G Mighty Mite Review. We have also recently released our list of Best Vacuums under $200. This list provides machines that are a little more expensive but they also have better features, warranties, etc.